Offering you a complete choice of products which include platinum on carbon, potassium hexachloroplatinate, potassium amminetrichloroplatinate, potassium hexachloropalladate, ammonium chloroplatinate and platinum bromide. 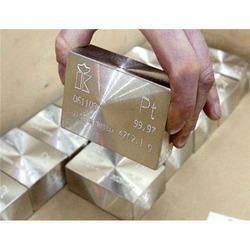 We the leading manufacturers of platinum on carbon. We obligated to meet the quality standards as per the customer demand. Potassium hexachloroplatinate is the inorganic compound with the formula K2PtCl6. It is a yellow solid that is an example of a comparatively insoluble potassium salt. 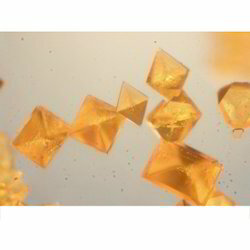 The salt features the hexachloroplatinate(IV) dianion, which has octahedral coordination geometry. 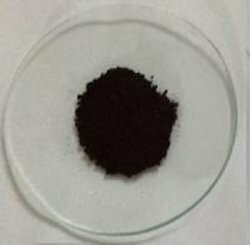 The precipitation of this compound from solutions of hexachloroplatinic acid was formerly used for the determination of potassium by gravimetric analysis. 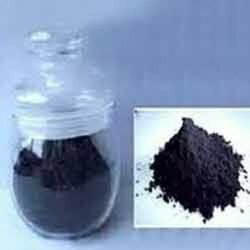 It is also useful as an intermediate in the recovery of platinum from wastes. We the leading manufacturers of potassium amminetrichloroplatinate(ii). 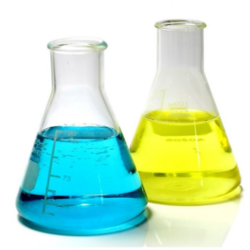 We are the leading manufacturers of Potassium Hexachloropalladate to our valuable clients. With the inclusion of advanced technology, we are engaged in offering a comprehensive range of Ammonium Chloroplatinate. The range offered by us is processed utilizing premium quality chemical compounds and advanced techniques in strictly adhering to set industrial standards. Besides this, we offer this product in varied packaging options in order to satisfy variegated demands of our clients spanning all over the world. We the leading manufacturers of Platinum Bromide. We obligated to meet the quality standards as per the customer demand. We the leading manufacturers of Platinum Oxide Monohydrate. To cater variant requirements of our clients, we are offering a broad assortment of Platinum 1% on Charcoal. Our offered product is meticulously tested by our team of quality controllers on well defined parameters to ensure their flawlessness and quality. Our qualitative products are appreciated and accepted in domestic markets. Clients can avail the offered product at a reasonable price. Clubbed with the dexterous support of our professional team, we have been able to deliver a really genuine and affordable assortment of 40% Platinum Chloride to our patrons. With our immense domain expertise, we are involved in offering Platinum Chloride 40% Pt Chloroplatinic Acid. This product is formulated with utmost care in order to maintain its adherence to globally accepted standards. The entire range is tested on various quality parameters before the final delivery at the clients end. Clients can avail this product from us at industry leading prices. We are a leading organization actively engaged in offering a wide gamut of Platinum Oxide. The offered product is processed using supreme quality ingredients and advance technology in compliance with set industrial standards and norms. For the formulation of this product, our professionals make use of world class ingredients. Our offered chemical is available in various packaging options and are delivered within stipulated time frame. Keeping track with latest market development, we are committed towards offering a wide gamut of Potassium Hexa Chloro Platinate. The offered product is processed with the help of supreme grade material and sophisticated technology in compliance with set industrial standards and norms. In order to ensure the quality and durability of the product, the entire range is tested on various quality parameters before the final delivery at the clients end. Clients can avail the offered product from us at market leading price. Experts provide this Potassium Iodoplatinate in the market in purest form. Moreover to this, these presented products are non toxic. Professionals keep working hard and provide these Potassium Tetrachloroplatinate chemicals in purest form and sealed packing. 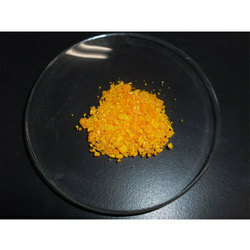 We the leading manufacturers of platinum iodide. 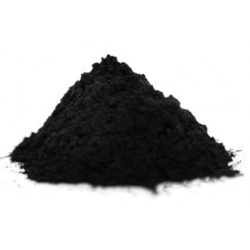 Owing to our expertise in this field, we are offering Platinum Black Powder to our clients. We offer these products in various packaging options as per the requirements of the clients. The offered products can obtain by our clients from us at reasonable prices. 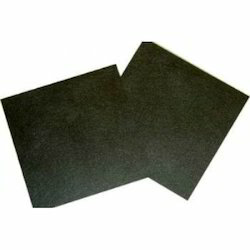 We are the preferred name in the industry that manufactures and supplies 5% Platinum on Charcoal that is provided in tamper proof packaging to prevent contamination. Owing to the correct chemical composition, purity and extended shelf life, this chemical is massively appreciated and accepted in the market. The proffered product is made available at economical rates. We the leading manufacturers of Platinum Acetylacetonate. We obligated to meet the quality standards as per the customer demand. 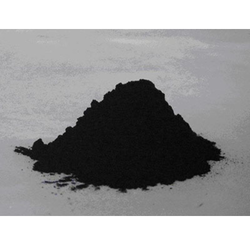 Platinum black (Pt black) is a fine powder of platinum with good catalytic properties. 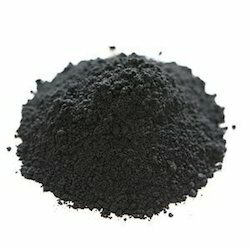 The name of platinum black is due to its black color. We are instrumental in manufacturing, supplying and wholesaling Potassium Tetrachloroplatinate, which is provided in safe packaging. 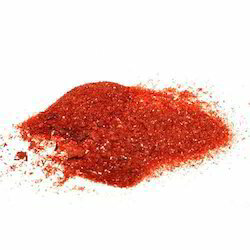 Offered chemical compound is considered a major reagent in preparing other coordination complexes of platinum. 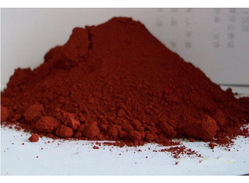 This reddish solid chemical is prepared under the strict supervision of our experienced and knowledgeable professionals. We are manufacturing and trading Hexachloro Platinic Acid. 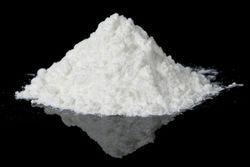 We the leading manufacturers of platinum on alumina. Looking for Platinum Chemical Salts Catalysts ?